Chicopee Woods offers 21 miles of great cross country riding located in Gainesville, GA.
Frady Branch is a multi-use trail system open to mountain bikers, equestrians and hikers near Toccoa, GA.
Lake Russell WMA has about 16 miles of maintained bike trails but many miles of gravel roads and other paths offering unlimited possibilities for exploring in Habersham County. 15+ miles of backcountry single track located in Rabun County. If you want to get away from the crowd, this is your place to ride. 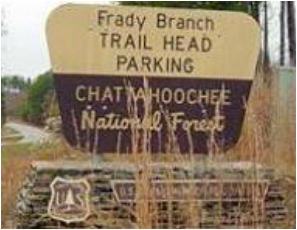 This state park located in Tallulah Falls, GA offers 11 miles of double track (out and back) and 2 miles of single track (loop). 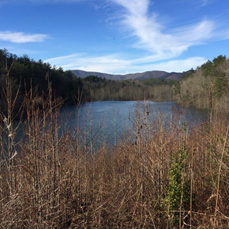 This state park located near Helen, GA offers a 7.5 mile loop mountain bike trail. On Blackjack Road in Flowery Branch, Hall County has built a very scenic two-mile beginner trail.